It's beginning to look a lot like Christmas - and Valentine's Day and Halloween and the 4th of July! 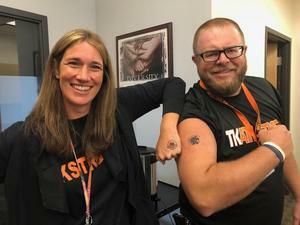 Thornapple Kellogg High School students will "celebrate" all the holidays in one week as part of this year's homecoming theme of Homecoming Holidays. Students throughout the district will celebrate homecoming week beginning Sept. 10 and culminating in the homecoming parade and football game Sept. 14 and the homecoming dance Sept. 15. The community is invited to line the parade route that starts at Lee Elementary School and travels west on West Main Street to Bender Road and ends at Page Elementary School. The parade starts at 5 p.m. Friday, Sept. 14. Immediately after the parade, there will be tailgate activities at the high school and in the high school south parking lot. Thornapple Valley Church (TVC) will provide free hot dogs and chips. There will be an inflatable slide, yard games, face painting and lots of activities for the families. The TK Alumni Association will have a special booth space where they will sell alumni t-shirts and sweatshirts. They'll also be signing up alumni to join the organization. At the pregame events starting about 6:30 p.m., the alumni association will again honor distinguished alumni. Last year five alumni were given the association's first honors. Those honored last year were Robert Wenger, Robert Bender, Sharon Myers Schondelmayer, Don Williamson and Bill Rich (posthumously). In the spring the association honored Don and Janet Geukes at the first spring alumni banquet. Honorees have been selected based on their outstanding achievements after graduation. The alumni association will also be recognizing different classes throughout the night's football game. Students will get involved with homecoming week by having special dress-up days throughout the week - each one following this year's homecoming theme of homecoming holidays. At the high school, Monday will be Valentine's day, Tuesday is the Fourth of July, Wednesday is Halloween, Thursday is Christmas and Friday is TK spirit day. Middle school students will also have their own special days: Monday, twin day; Tuesday, 4th of July; Wednesday, pajama day; Thursday, favorite sports team day; and Friday, TK Spirit day. Elementary students get in on the action as well. Monday will be hat day; Tuesday is pajama day; Wednesday is dress up day; Thursday is College team day; Friday is TK spirit day. 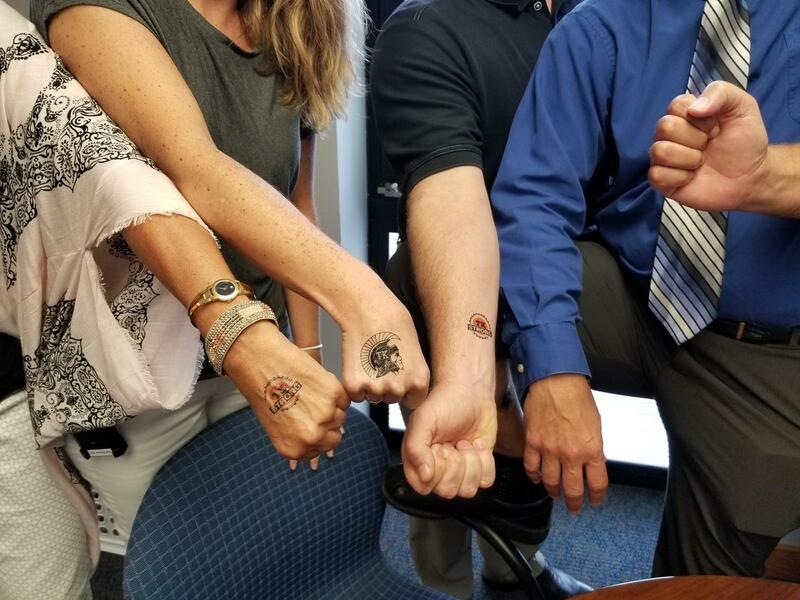 All students at all grade levels will have the chance to purchase temporary TK tattoos from the TK cognitively impaired class. All proceeds will help the class with the cost of their monthly community outings. The tattoos are $1 each and can be purchased all week or Friday prior to the football game. The homecoming football game kicks off at 7 p.m. against Wayland. Tickets are $5. The homecoming court will be announced during halftime of the game and the king and queen crowned. The homecoming festivities wind up Saturday night with the high school homecoming dance at 7 p.m.